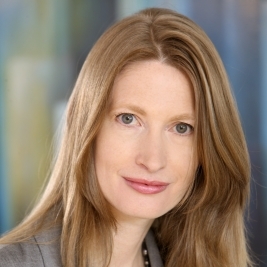 Jane Foley is an economist specialized in currencies with a long experience in the banking sector. She has worked for Standard and Poor’s, Barclays, Gain Capital and Rabobank, where she’s been a Forex strategist for the last five years, just when we interviewed her for the first time. Feeling privileged to have the kind of job she has, Jane believes you can be a good working mother as long as you are organized and separate your professional and personal lives as much as you can. According to her, “it is difficult to find women who want to work in the industry” and businesses should attract more women in all parts of their organizations. * You have the same job than the last time we spoke in June 2010, Senior FX strategist at Rabobank. Has anything changed in your responsabilities? I have held the same role for five years. While the broad outline of the job is unchanged, as it natural in any business there has been some evolution in my day to day commitments as the research department has grown – particularly in the direction of emerging markets. The basic requirement of the jobs is to watch and analyse global economic and political events in order to determine their likely impact on the FX market. * What do you love about your work? To be able to watch world events unfold and develop over the years is to me a position of privilege. *And what do you like less? I do not trade (aside from a paper account). I am merely an analyst. * As a mother, how do you manage to balance personal and professional lives? I keep my personal and professional life very separate to the extent that I considered not answering this question. My children are now of secondary school age and this makes life a little easier particularly if I have to travel. My kids are well balanced people and are good company which suggests that having a working mother has not had any lasting detrimental impact on them. I can not that full credit for them, however, since I have a very supportive husband and extended family. * Any advice on how women can balance personal and professional lives, being in the trading industry, now in 2015? Nobody said that it would be easy and I think this is particularly true for working mothers. In order to make the best use of time, compromises have to be made. Good organisation is essential. * Do you know or have the feeling there are more women than before in the sector? Throughout my career I have been waiting for the numbers of women in trading rooms to increase but this does not appear to have happened in any convincing way. Insofar as research has shown that women tend to make better considered judgments than men, I think businesses are potentially losing out by not attracting women into all parts of their organisations. I hope that going forward company practice and society’s attitudes will alter to facilitate change. * It’s sometimes said that women make better traders than men. What do you think? Five years ago the impact of the global financial crisis put the behaviour of some bankers in the spotlight. The suggestion that more women in trading rooms could lessened the occurrence of reckless behaviour was popular. While many managers still concur with this view it is difficult to put it to the test since part of the problem is that it is difficult to find women who want to work in the industry. I hope one day I will become a NUM 1 forex trader.